Who are qualified to operate the lifting devices? 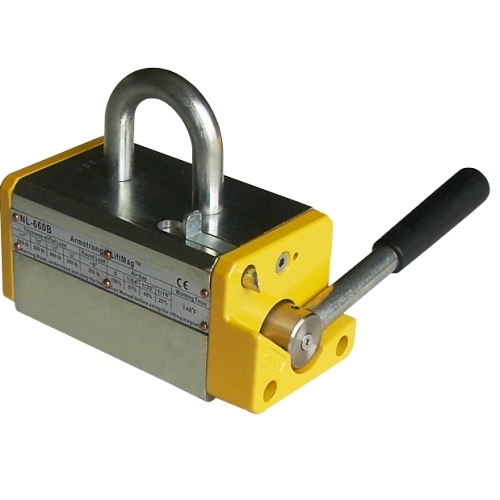 With the ability of transferring flat or round steel loads without using any slings and leaving any surface mar, these industrial lifting magnets consist potential danger which can cause equipment damages and personal injury if they are mishandled or handled without care. The operating team must assign designated persons, trainees, maintenance and test personnel, and inspectors to work on the magnetic lifters. They must always alert people in the area to keep a distance away when they activate the equipment. What are the general rules to operate a lifting magnet? Never leave the lifting device unattended. Always place the attached load on the ground before release it and properly store the magnetic lifter after use. Store them in a dry, isolated clean location when not in use. Examine the lifter before each shift. If damages are found or controls do not work properly, do not continue the lifting operation until the issue is completely resolved either by the supplier or a designated expert. Each lifting magnet is designed, manufactured and tested with a specific rated lifting capacity, and has limitations to what kind of load it can handle and maximum allowable temperature. All operators must strictly obey these rules to ensure optimum safety controls. The loads’ weight must also be kept within other connected hoisting equipment’s rated capacity. Establish a lifting procedure by a group of experienced workers, teach and enforce all operators follow the procedure accurately. Before lifting operation, make sure that the connection chains are in good conditions and not inter-twisted. Ensure that the weights of the load are evenly balanced around the magnetic lifting device. For large thin sheet, multiple lifters must be connected by spreader beams to avoid them from bending and falling off. Lifting devices are only designed for vertical lifts, not horizontal pull. Horizontal movement should only be performed off ground. Do not raise the load too high. Always keep the lifting magnet bottom surface and the contact area of loads clean. Any attached harsh particles can result dents or bumps on the bottom face, create more air gap and reduce its rated lifting capacity. Prior to the lifting task, test the security of the magnetic attraction by lifting the load slightly off ground. Armstrong’s NL-B series consist a SafeLift Pre-test Mechanism that allows the operators to test the lift with a safety factor of 2:1. The actual lift would have a safety factor of 3:1, exceeding the requirement of ASME B30.20.